If you're afraid "to do something wrong" when you sit behind your computer, this new series is for you. AVAST has expertise in developing security products and we want to bring you a complete series about internet danger, with good practices to avoid scams, loss of money, and identity theft. You're just about to join a tutorial that will help you avoid such threats in the virtual world. First, being afraid to do something wrong is healthy because it will slow you down, which can be a good thing since most mistakes are made due to rushing through something. Computers, smartphones and tablets are advanced tech devices. Those of us who did not have the opportunity to learn and gather knowledge and experience on using these devices when we were young, can be a little shy with them. Searching for information about how to do something with your device is not always easy because people tend to use complicated language. Making it simple and easy-to-understand is a task that we assume with pleasure. The internet is a space for sharing and dialog. However, alongside this encouraging environment you will face some areas where you need to exercise caution: Inappropriate content for children like adult sites; sites which promote hateful content such as racism and intolerance; and cybercriminals who use different methods to steal your personal, banking, and credit card data. You may be tempted to think that no one will be interested in your computer, or that your computer cannot be found in the internet jungle. That would be a mistake. Cybercriminals hide in the jungle and misuse your computer as a base to attack others, and spread viruses (malware) or spam. Think of it this way - the banking systems and e-commerce sites have, in general, a much bigger and more sophisticated security arsenal than your own computer (smartphone or tablet), and yours is the weakest point in this chain. So let's start from the same place. Here's The Rule: All safety measures you take in real life should be applied when you use the internet: Visit only trustworthy sites and stores, do not share your personal data with anyone, lock the doors, and put an alarm. AVAST believes security implies prevention: Be prepared before something bad surprises you. Your personal data or your credentials for a particular site (username and password) are quite valuable to cybercrooks. With this data, scammers act on your behalf; sending emails (like the phishing ones we've written about lately), shopping with your credit card, and doing things that can cause harm to you, not only financially but also for your reputation. They could share false information about you, photos and personal data. This could led to problems when, for instance, you are looking for a new job, but also in your personal and family life. 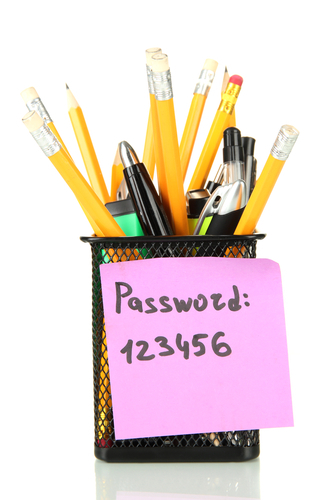 Taking care of your passwords is essential. Use different passwords for each service or internet site. You should create the so-called strong passwords: CAPS letters, symbols, and numbers. AVAST offers an automated solution for your passwords - a free passwords manager called Avast passwords. This way, using different and secure passwords, cybercriminals can't easy guess your credentials, enter in sites, or shop in your behalf. Do not answer unsolicited emails or sales promotions that promise you a financial return after you make a small payment. Never help or join into the financial operations of a third party, close to you or not. Do not trust in NGOs that ask for donations, rather look for the official sites to contribute. Never giveaway your banking data for "personal credit and rewards" announcements, for example, bogus companies offering jobs that ask for a preliminary payment. Scams that prey on your emotions are prevalent. Dating scams in-the-wild ask for money to make a trip to meet your love interest personally. In fact, after you pay, you'll never see your love again. Beware of these types of scenarios. How can we avoid these scams? Generally, they ask for a quick and secret decision and, often they have spelling and grammar errors because many still originate from foreign locales and rely on online translation software to spread the scams all over the world.